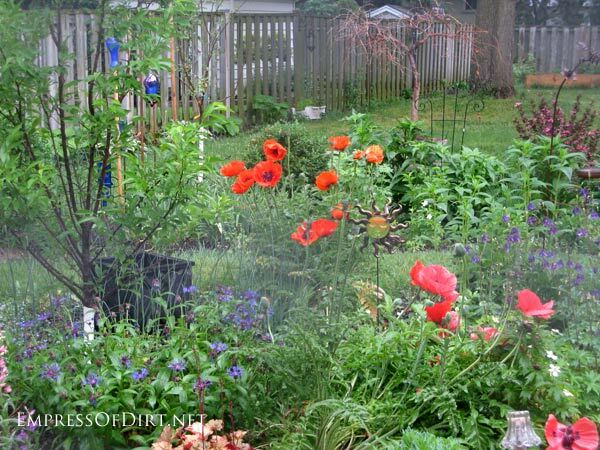 This is a tip you can use throughout the garden season, from spring to fall. I’ll show you how to get the very best seeds for seed saving and planting next year. If you’d like more tips on seed starting, you can see them here. Seed saving isn’t just a matter of gathering the seeds at the right time (that’s a subject for another post), but choosing from your very best flowers. Ever notice how the quality of blossoms can vary within the very same plant? Just because they’re on the same plant doesn’t mean their genetics are identical. When it comes to flowers, it’s much like birds: research confirms the most beautiful of the bunch tend to be the healthiest and best possible parents. That’s where this tip comes in handy. I keep scraps of ribbon and twine in the gardening shed. When I notice a bloom that is particularly fabulous, I mark it with a ribbon. This will be the one I use for seed saving when the time is right. I chose this white tulle gift bag for the sake of the photo, but I would normally select something much more subtle. The ones shown here are my beloved poppies. Here’s my top reasons to grow them. I actually started this plant with seeds from a neighbour’s garden. I had my eye on one particularly massive bloom and, months later, snipped off the seed pod on a dry, cool fall day. Planted the following spring, they proved to be as beautiful as the parent plant. Without the ribbons, by the time plants have gone to seed, it would be nearly impossible to recall which blossoms were the total show stoppers. Keep some ribbon handy and you’ll end up with the best seeds. Melissa, I have been an avid gardener for close to 35 yea rs. I have saved seeds but only from Columbian where the plant is left with the seed pod. How would I save seeds from coneflowers, black eyed susan or daisy. What do I do with the flower head to save the seeds. What are the steps? I’m new to gathering seeds so i appreshiate this article ! Thank you SO MUCH for posting , looking forward to turning my long yard into our own garden of eden next year ! Planted Rose of Sharon this year along fence for some much needed privacy. This is also first year I tried to plant tomatoes In the ground . I love gardening and planting such a wonderful release to be outside in the fresh air! Not to mention i get to play in the dirt ! Awesome info , Thanks AGAIN ???‍? Melissa, this is a great idea. 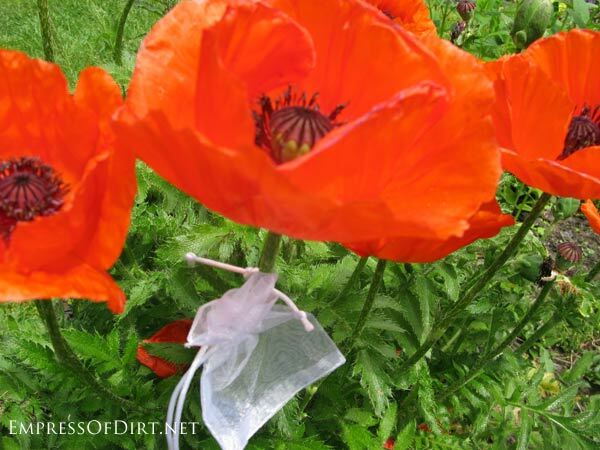 I grow poppies like you and “what if” one used a ribbon or piece of yarn the color of the plant you want to save the seeds from? 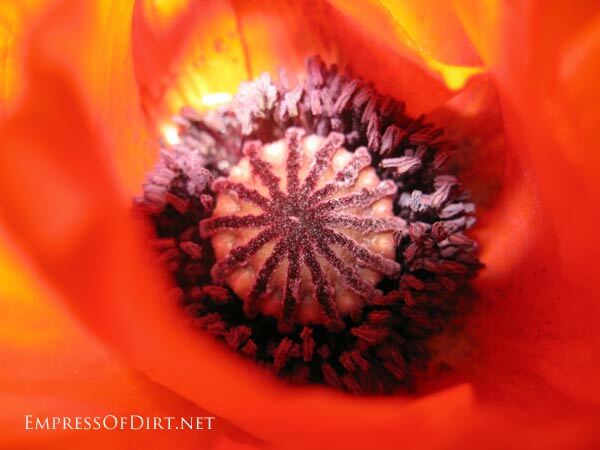 Of course, it might not be possible to have every color under the sun of yarn/ribbon..poppies come in many colors. last spring my oldest sister was visiting and it was before the poppies started their growth and she thought it was a dandelion that had popped up there and advised me to dig up that dandelion before it gets big and the wind takes its seeds everywhere. Obviously she has never grown or seen a poppy growing. Those red poppies are just spectacular! 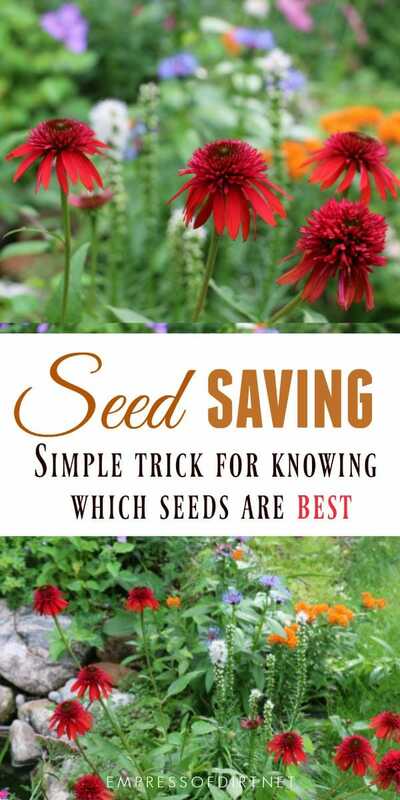 Saving your own seed is so smart to keep them always in your garden! What a clever tip. Thanks for sharing and I am a huge fan of the poppy so the pics were lovely. Love the site. I had a little trouble reading the articles though. The changing photo’s aren’t the same size and cause the articles to jump up and down. I’m working on a fix to that problem. Thanks, Jeannie! Hi Melissa I am loving reading your blog but am having trouble commenting on posts unless someone has commented I can’t find where to do it. That said I love the new garden I have gone from lush thickly composted garden at my last house to clay at this one and the clay was deposited on a old quarry site so once it rains the clay takes forever to dry out, I have planted a huge amount of bulbs brought from the old house and am shoving trees in everywhere, Trying to get some raised beds in for vegetables in as well. Thanks for the info on the comments. I’ll try and find what the problem is. 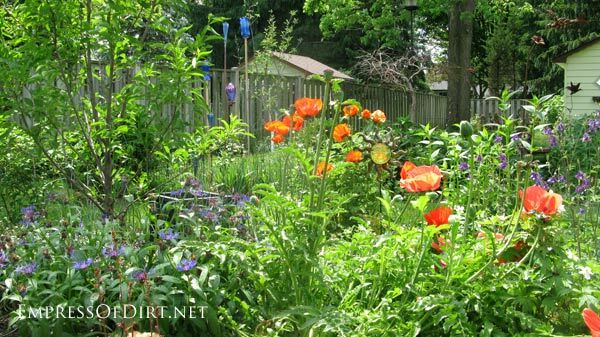 Your new garden sounds like a challenging but wonderful project. I’d love to see photos – before – and during – since there’s no ‘after’ in gardens.